Create a simple doll dress with gathered elastic sleeves. 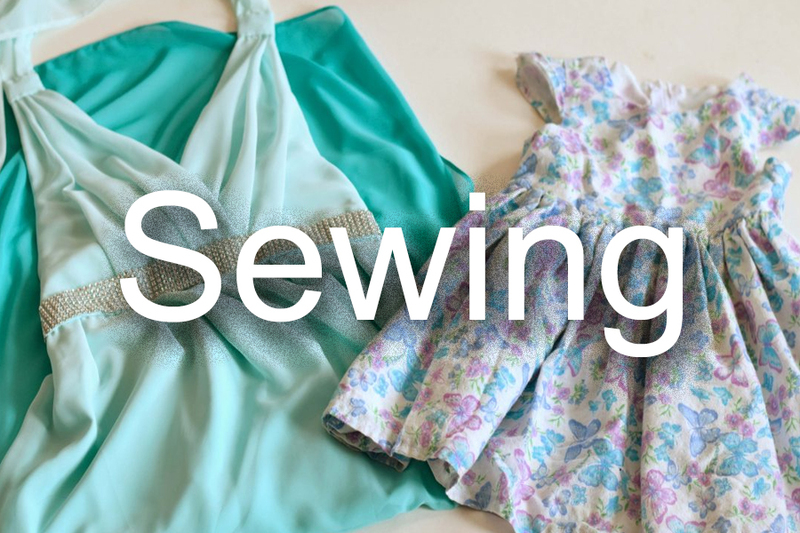 Free pattern and tutorial for a beginner sewing project. 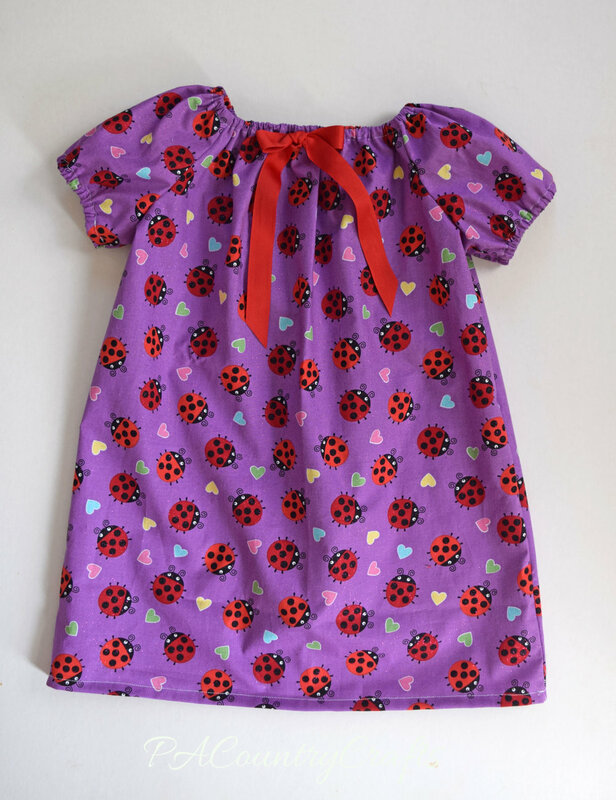 There is also a free pattern available on the website for a matching girls’ dress. 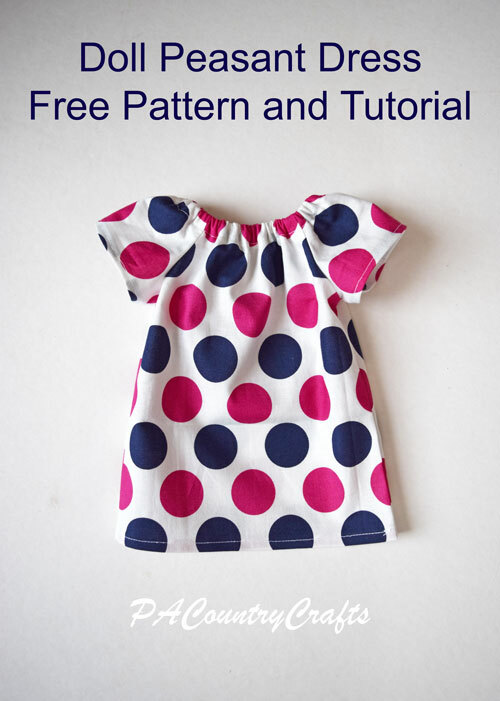 Free sewing pattern and tutorial- works as an 18” doll top or a baby doll dress. 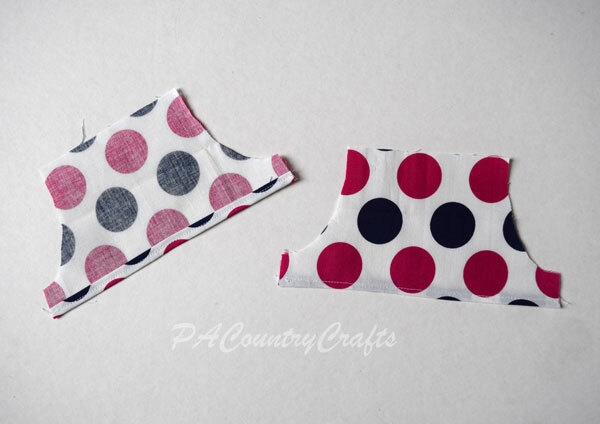 This peasant top is so easy it makes a good beginner sewing project. Peasant dresses are a really easy beginner sewing project. When I teach my daughters to sew doll clothes, this is our first lesson. I have to help with a few of the steps, but they can handle most of it. After you learn how to make this basic dress, there are a lot of options to change it up for a totally different look. I also have tutorials for making peasant dresses in girls' sizes. Matching girl/doll sets are always a pretty big hit! These dresses have a lot of variations, and I hope to expand on this pattern in the future. For now, though, I am starting off simple with a basic, short sleeve peasant dress. 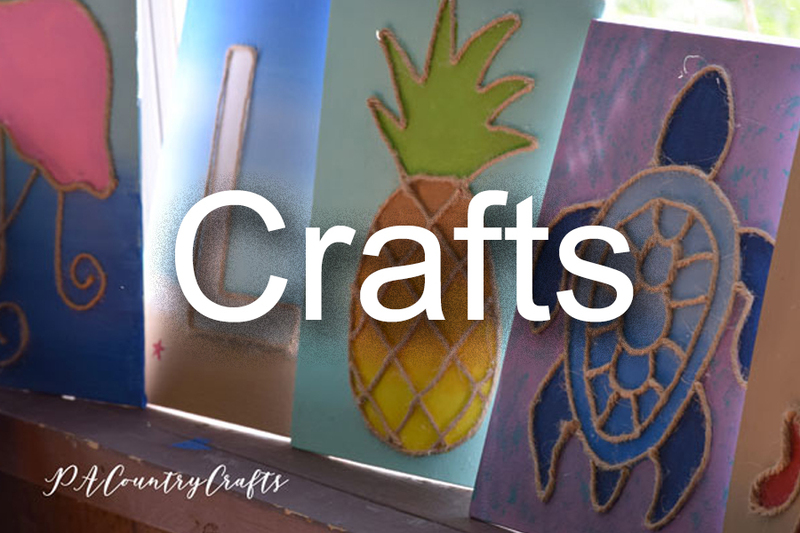 I have picked up some tricks over the years to make sewing them a little faster and easier. First, let's prep the pattern. Print it out in actual size and cut it out. To fit the longer main dress piece on the page, I had to do it in two pieces. So, you will have to overlap the little bottom section and tape it together. It is off a little bit- about 1/8" but I am not a professional and it is a free pattern so center it the best you can and don't complain. OK? These dresses require very little fabric. A fat quarter works perfectly and I always seem to have a lot of those hanging around. You want to make sure to place the width of the fabric (the direction that stretches a little more) across the width of the pattern pieces. Just fold the fabric in enough to place both pieces on top. If you want to be really efficient about it, fold it again, accordion style, and cut two of each pattern piece. You will have four pieces total- a front, a back, and two sleeves. Next, line up the curved edges of one sleeve and one dress piece as shown. Make sure to line up each set on the same side. Then, sew the opposite side of each sleeve to the other side of the dress. This part used to confuse me, so I will show it at a couple of different angles. Again, use a 1/4" seam allowance. 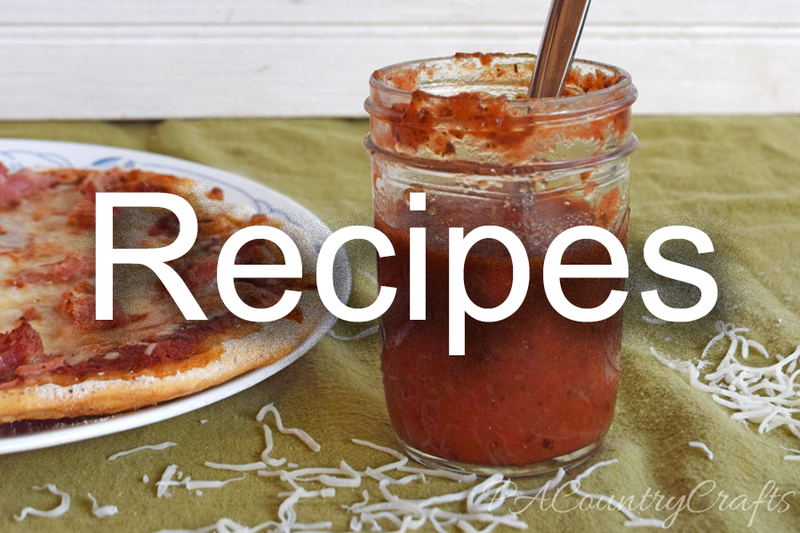 It is kind of like sewing everything together in a loop or a rectangle. Next, fold the right sides together and line up the side seams. Make sure the ends of the sleeves and armpits line up. 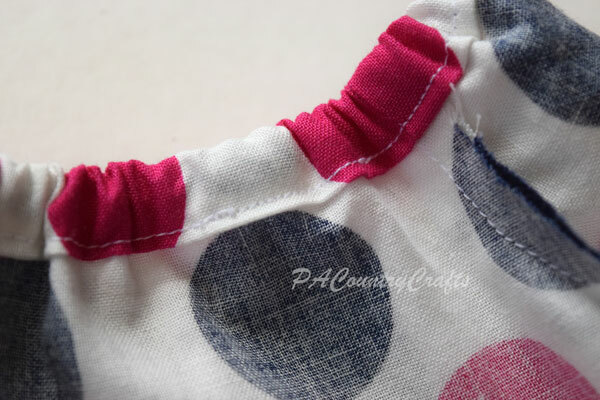 Pin and sew along each side with a 1/4" seam allowance. Now, I happen to have an overlock machine, or serger. If you don't have one, go buy one. They are awesome. 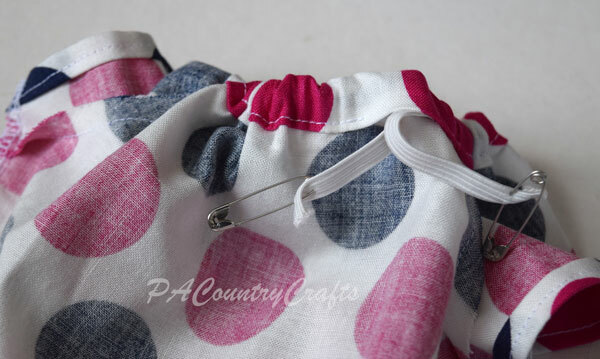 If that isn't an option or desire for you, you can finish the seam another way- pinking shears, zig zag stitch, etc. Google it. 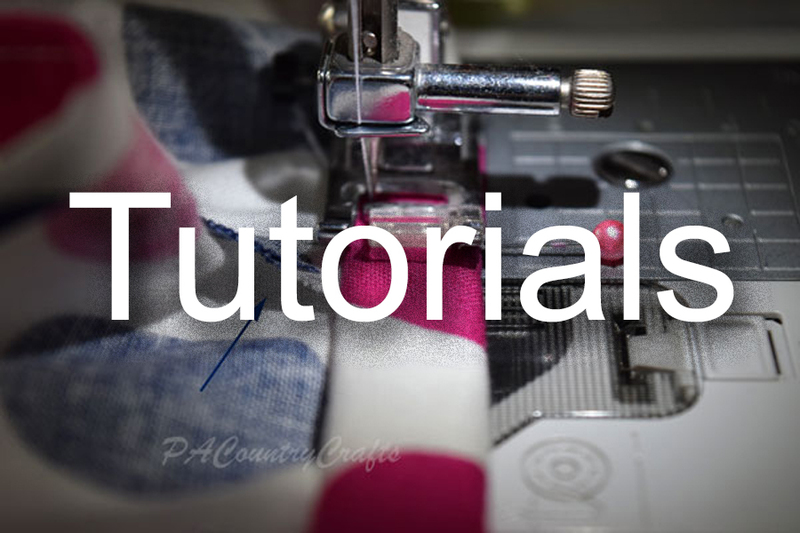 Now, I happen to have created a separate tutorial for how to tuck in those serger threads. You can see it HERE. Next you have to sew the elastic casing for the neckline. This is the hardest part, in my opinion. It just seems to take a little practice. The most important thing to remember is this: KEEP THE SEAMS ALL PRESSED IN THE SAME DIRECTION! Did that seem like I was shouting at you? Good. I was. Trust me. 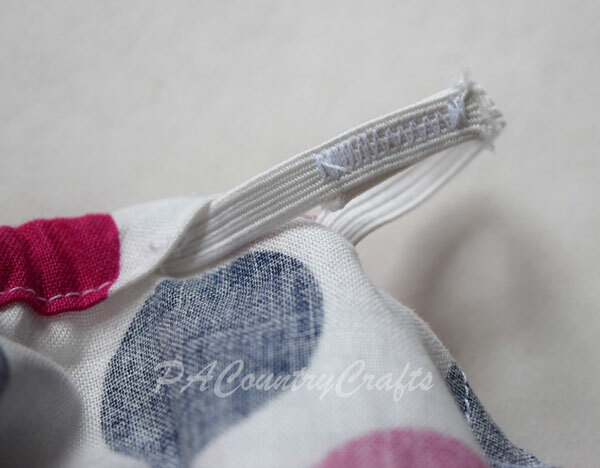 It is very frustrating to get the elastic stuck at a seam and this will prevent it. Fold the raw edge down 1/4" to the inside. Next, fold it in 1/2" (and watch those seams!) 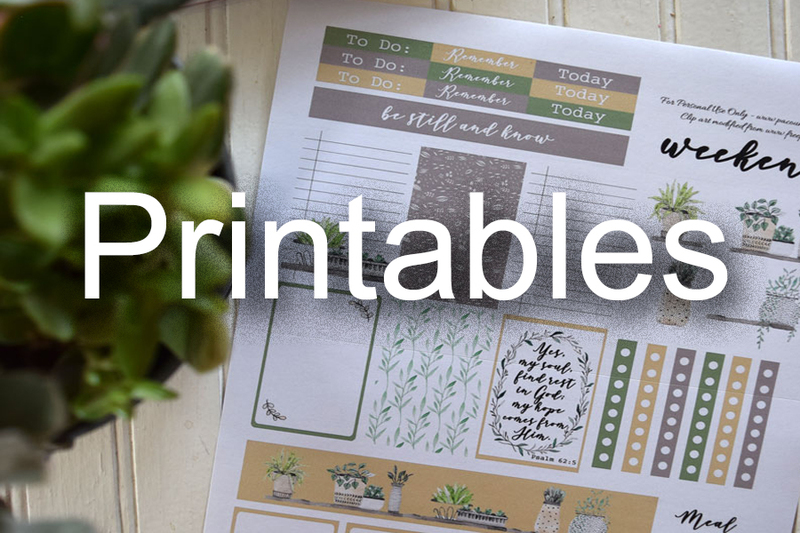 You can iron and pin. You can use wonder clips (those rock!) 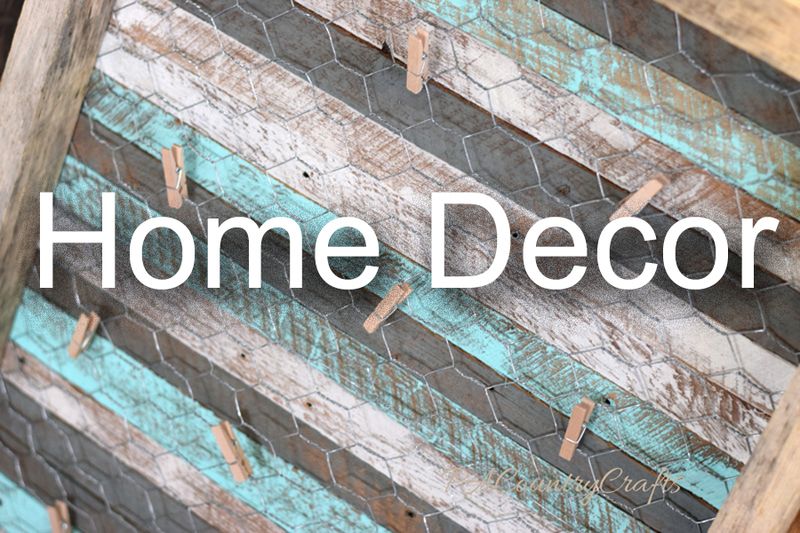 You can just eyeball it up and fold it as you sew (maybe after some practice). So that I could take a picture... I pinned this time. Start sewing somewhere on the back. I like to start just before a seam. Sew about 1/8" from the folded edge all the way around. I keep my needle to the left and line up the outside folded edge with the edge of my presser foot. Do NOT go all the way around! Leave the last inch or so open so that you can put the elastic into the casing. Make sure that you push the safety pin towards the seam so that everything is going the same direction. Push the elastic all the way through the casing, being careful not to twist it. Overlap the ends of the elastic about 3/4" or so. 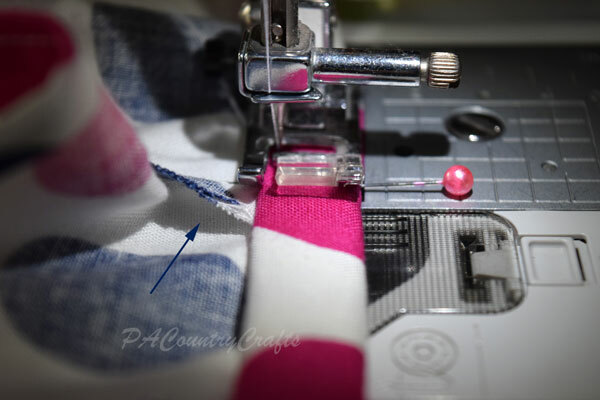 Use a small zig zag stitch on the machine to hold the ends together. Stretch the casing to pull the elastic inside. Sew the opening closed. 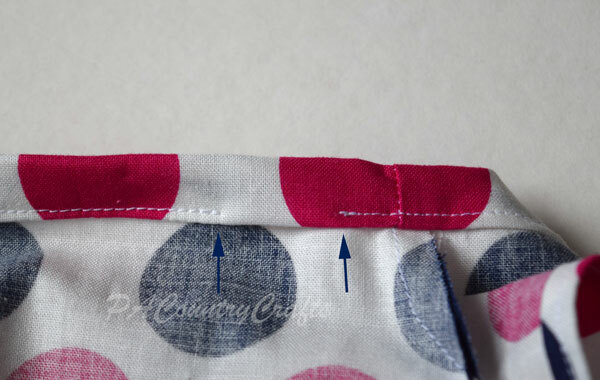 Finally, turn the bottom under 1/4" twice to make a small hem. Stitch 1/8" from the edge. To put it on the doll you will want to pull it up from the legs, not put it over the head. They are sort of disproportional so it is easier that way. Plus, you don't mess the hair up.